Deemed the biggest electronic dance music (E.D.M.) festival in Asia, the general chatter about Sunburn commences every year with the release of early bird passes that Sunburn loyalists and house and trance music aficionados always vie for. Held during the peak of the holiday season, this is a three-day party bracketed by the Christmas and New Year celebrations. With 50,000 people thronging the beaches and dancing up a storm at Candolim, the fifth coming of Sunburn is set to be quite a heady experience. Sunburn 2011: The fifth edition of the biggest E.D.M. festival in Asia. 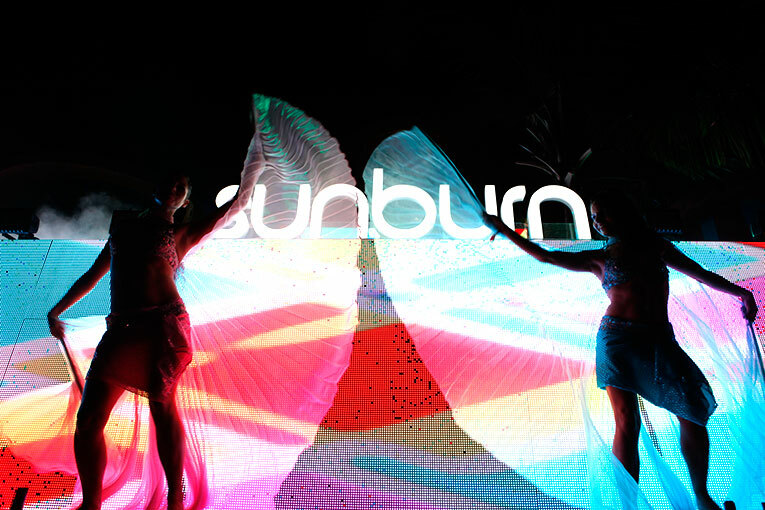 Launched in 2007, every passing year has seen Sunburn evolve into a complete lifestyle experience and expand in magnitude to usher into the beach state Indian and international gods of dance music. Some of the international artists to have graced the sands of Sunburn over the last four years are Carl Cox, Above & Beyond, Axwell, John 00 Fleming, Pete Gooding, Gareth Emery, Roger Sanchez, Sander Van Doorn, and World #1 Armin Van Buuren, along with Indian artists such as Roger Shah, Pearl, Brute Force, Nawed Khan, Vachan Chinnappa, Jalebee Cartel, Sanjay Dutta, Ma Faiza, Lost Stories, and Designer Hippies. Besides being an explosive E.D.M. festival, Sunburn also plays host to a myriad of non-music activities ranging from the extravagant to the quaint. Past editions of the festival have included a flea market with up to 80 stalls offering global cuisine and handicrafts, fire jugglers, a rock climbing wall, a makeover lounge, a mechanical bull, water sports facilities, and Thai foot masseurs to enthrall festival-goers. 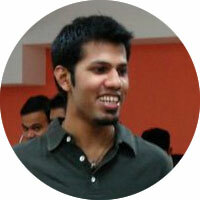 Expect huge crowds and lots of energy at Sunburn 2011. 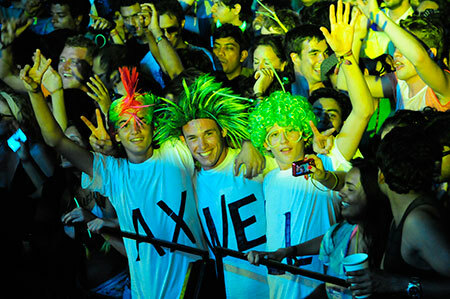 Sunburn 2011 is all set to bring in big names from the music industry to draw huge crowds to the sands of Candolim—names like Axwell, Infected Mushroom, Markus Schulz, Nic Fanciulli, Moguai, Michael Woods, Pete Tong, Gabriel & Dresden, Jerome Ismae, Praveen Acharaya, and Anish Sood, along with several crowd favourites from past editions of the festival. 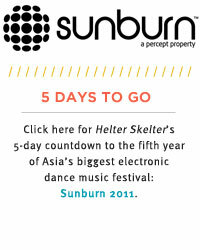 In celebration of the festival’s fifth year, we kick off our five-day countdown to Sunburn 2011. We’re going to be profiling artists and talking to Sunburn loyalists and newbies alike. Don’t forget to check our list of essentials on the final day of the countdown as you’re packing your bags for Goa—there’s some things you just can’t do without this year!